Many people look at 2016 from different angles, but the stock market was an obvious positive to finish the year. In 2016 the Matson Money US Equity Fund (Diversified US Stocks) was up over 21%, and the Matson Money International Equity Fund (Diversified Intl. Stocks) was up over 8%. The following is an insight article from the Matson Money client statements about what we can learn from what happened with the election and the stock market. “The 4th quarter of 2016 was a memorable one in the United States for many reasons. We experienced the most partisan and unique election season in recent memory, culminating in an election result that few expected. 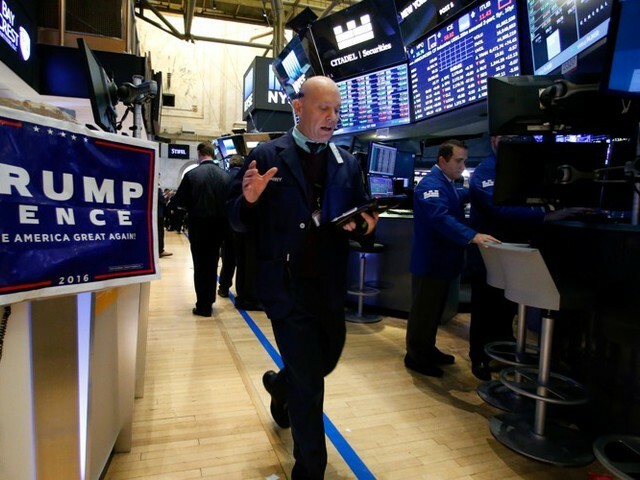 The news of a potential Donald Trump presidency brought forth many pundits clamoring to give their opinion on how it may affect the stock market and the economy as a whole. 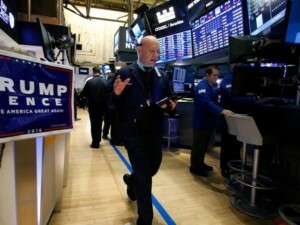 Prior to the election, on Fortune.com, Katie Reilly reported that Citigroup predicted that a Trump win would have a negative effect on the stock market, believing the S&P 500 index would fall 3% to 5% if Trump was elected. Evelyn Cheng reported on CNBC the day before the election that JP Morgan, Barclays, Citi, and BMO all expected a Trump victory would have a negative impact on the stock market, with Barclays being as bold as saying the S&P 500 could potentially fall 11 to 13 percent. In addition to many analysts predicting a drop, the stock market itself seemed to be indicating the same thing. When FBI director James Comey announced on October 28th, that he had reopened an investigation into Hillary Clinton’s email server, the betting markets reacted favorably to Trump winning, but the stock market reacted negatively, with the S&P 500 sharply reversing gains and dropping almost 1% intraday. Even more starkly, on election night itself, as results started pouring in showing key states falling to Trump, DOW futures fell as much as 750 points. Given this information, many investors may have had the inclination to feel uneasy about the performance of the equity markets following the election. Those that reacted to this emotion may have sold stocks and moved their money to cash or bonds. Unfortunately for those that made this decision, the prevailing market predictions of downward volatility proved to be unfounded; in fact just the opposite occurred. From November 1st through the end of the year, equity markets had a substantial growth period, with the S&P rising 5.75%. However, while this is most certainly a fine return over 2 months, investors who diversified their portfolio beyond just U.S. large stocks may have seen even greater returns. Small cap stocks as represented by the Russell 2000 rose 14.27%. But not to be outdone, the Russell 2000 Value, an index of small value stocks, increased 17.95%. Hopefully investors will remember this period of time not just because of the election result, but as a great lesson that trying to predict the short term move of the stock market – even when it may seem so evidently clear that it will move a certain way – can be folly and cost you dearly. Matson Money. “Account Statement.” Letter to James Hancock. 16 Jan. 2017. MS. N.p. The Financial Markets Have Accepted a Trump Presidency. Digital image. Au.anygator.com. N.p., n.d. Web. 16 Jan. 2017. Christmas time is here again! This is the time I get frantic about finishing up buying gifts for everyone on my list. To those who are interested, books make great gifts. 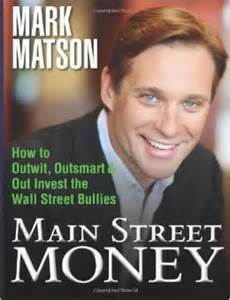 We can offer you the book “Main Street Money” by Mark Matson for free this holiday season. This book is perfect for your spouse, parent, or child looking for not just good, but great financial advice. This book is a simple and personal text with some invaluable information on investing, retirement planning and the like. If you have not read the book Main Street Money yet, here is a brief into explaining why Mark Matson wrote this book and how it can help you to receive investing peace of mind. The following is a direct quote from the introduction to the book, “Main Street Money”.1. “Chances are you’re one of the 95 percent of Americans who are destined to retire broke. It’s not really your fault. Goodness knows it’s confusing out there for the average American trying to secure their financial future. Contradictory advice and information, misleading promises, portfolio-gutting investment strategies – and that’s just from my fellow Wall Street investment professionals. Maybe that’s why the finance industry’s leading lights can be counted on to say one thing one year and the opposite the next. Market timing? It will never work. Oh wait, yes it can. Asset allocation? A big winner – until a real bear market comes around. Buy and hold? The best thing since sliced bread. That is, until the market tanks and the buy and hold model is tossed onto the scrap heap by so-called market experts. It’s almost like financial professionals want to confuse the investing public. Where is the continuity? Where is the unvarnished truth about investing strategies? Why won’t anyone step up to the podium and admit that nobody can predict the future? After all, people scoff at astrologers and tarot card readers. But some guy in a suit and hang a “stockbroker is in” sign on his door and people can’t wait to see what he has to say during a bull market or during the latest market crash. There is no shortage of talking heads who pretend they have the forecast about the future that will magically allow you to own all of the best stocks and get into and out of the market at the perfect time. If you would like a copy of this book, get in touch with us and we can get one for you at no charge to you. We give out copies at our monthly coaching classes. It is our job to educate investors about the wall street bullies. Matson, Mark. “Changing the Status Quo.” Introduction. Mason, OH: Mcgriff Video Productions, 2013. IX-X. Print. With the proliferation of the Internet and continued expansion of online investment tools, the role of an Investment Advisor is now of crucial importance. Personal investors have access to more information than they ever have before, but wading through the data to find that path to success and discipline still requires the eye of a trained investment coach. Given the daunting amount of different investment advice, options, funds, accounts, stocks, bonds, annuities, and timelines available to investors planning for your future is intimidating to say the least. When you take the inherent danger that follows bad investments into consideration , it quickly becomes clear your retirement isn’t worth that risk, and should instead be left to a professional. The following five points are some of the more common DIY investor mistakes that a qualified investment advisor can help you avoid, while better planning for your future. This is one of the most common mistakes of beginning investors. Although you might feel a certain pull to invest in a company whose products you already support, it’s important to remember that you’re not buying their product; you’re buying their future performance as a company. In the long run the advantage of having a globally diversified portfolio is much bigger than the cool feeling you get when you buy your favorite companies stock. Remember, your investments’ future earnings are more important to your well being than owning a fraction of a “cool” brand. On top of this, usually the “cool” stocks that people buy are extremely massive companies, which have a lower expected growth rate than small cap companies. 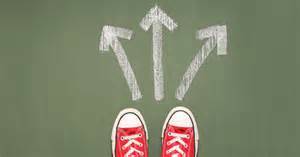 With the previous point in mind, it’s important to not be overly conservative when it comes to planning your future. Ever since the crash of 2008 new investors have been very skittish when taking on risk, many opting out of the stock market entirely. That being said, it’s important to remember the old adage that “without risk, there is no reward.” A financial professional can better assess the highs and lows inherent with ownership of stocks. A more evenly balanced portfolio (that means one with stocks), while carrying an additional degree of risk, offers much greater rewards to the investor, and under a watchful eye it will continue to grow for years to come. This tip, more than almost any other, is extremely important to new investors. We’ve all seen a movie or heard a story with someone offering “a deal too good to be true,” and when it comes to investing that old cliché is worth its weight in gold. While we can all think of an example when a company’s stock value went through the roof seemingly overnight, it’s important to remember for every success story there are many more of failure and bankruptcy. Putting everything on a single stock or position is just as risky as taking your life savings to Vegas and hoping for the best at a roulette table. Any investment you care about should be made as part of a balanced portfolio and a long-term plan. This is a very common thought by most do it yourself investors. They think with the advisor out of the picture they take out the middleman and thus lower their investment costs. The problem with this thinking, is that it is completely wrong in most cases. Online, the extremely high fees for trading must be paid. Depending on the website, they usually run $7 to $10 per trade. If you are diversified like you should be, that would be hundreds if not thousands of dollars just to buy into all the stocks you should be holding. The advantage to working with us is that there is no fee per trade. You are no longer treated as an individual investor and thus you have a flat discounted fee no matter how many trades are made in your account. To be frank, you need an investment coach to accurately accomplish your goals. Many new investors forget that investments are made for a purpose, and if you don’t have access to your money when you need it that investment has failed you. Different accounts have different tax implications that must be matched with your time horizon and age. If you are putting away money for retirement that is not for 20 years, then you should not invest your money conservatively. Your risk tolerance should be directly correlated with your time horizon for your investments. You can be more conservative with investments that you will need in a short time frame. 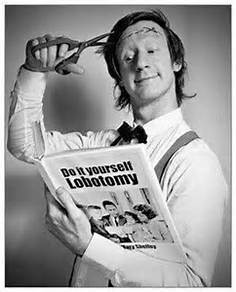 Do It Yourself Lobotomy. Digital image. Smithlhhsb122.wikispaces.com. N.p., n.d. Web. 21 Nov. 2016. It seems to be all anyone can talk about for the last few months. This is a very strange election year with crazy headlines and stories to go along with it. 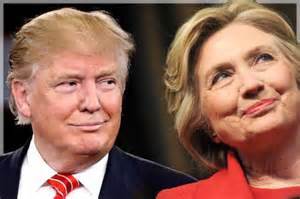 So we have gotten the question “How will the presidential election effect the market?” just about every day. For questions like this I am glad I have my crystal ball with me at all times so I can tell my clients exactly what is going to happen. O wait, I don’t have a crystal ball. Looking back at election years since 1928, the S&P 500 (Large US Stocks) has had a positive return 21 times, and a negative return 3 times (1). I think most people would find that hard to believe. From another source I found this interesting data. The worst thing an investor can do is get caught up in trying to find and take advantage to patterns in the stock market. It seems like a good idea, but trust me, it is not in your best interest. For example, there is a super bowl stock market predictor, which states that if the team that wins the Superbowl is a team that had its roots in the original National Football League, then the stock market will decline. There is another pattern showing that every mid decade year ending in 5 (1905, 1915, 1925 etc.) since 1905, has been an up year for stocks. (1) These patterns are just random facts that people try to turn into something that seems important. 1.Anspach, Dana. “How Does the Stock Market Perform During Election Years?” The Balance. About Inc., 16 Oct. 2016. Web. 01 Nov. 2016. 2. Smith, Anne Kates. “How the Presidential Election Will Affect the Stock Market.” Www.kiplinger.com. The Kiplinger Washington Editors, Feb. 2016. Web. 01 Nov. 2016. 3. Donald Trump and Hillary Clinton Together. Digital image. Fabiusmaximus.com. N.p., n.d. Web. 1 Nov. 2016. The weather was not the only thing that was hot from July to September, but your investment portfolio most likely was as well. Let’s just hope you stayed disciplined to receive the tough returns. The following is an excerpt from the Matson Money quarterly statement. “The 3rd quarter of 2016 provided much smoother sailing for the equity markets as compared to the occasionally tumultuous quarters that preceded it. 2016 began with significant downside volatility in the early part of the year, followed by geopolitical uncertainty surrounding the Brexit referendum vote, and it seemed like choppy waters was the new norm in the global marketplace. However, despite the talking heads making dire warnings, Matson Money’s recommendation to practice prudence proved to be sage advice, with post-Brexit markets have providing consistent upward movement over the last few months, with the S&P 500 index gaining 3.85% for the quarter, and international stocks as represented by the MSCI EAFE index rising 6.50%. Another shift began to emerge recently, while U.S. large growth stocks had been one of the higher if not highest performing equity asset classes for much of past few years, we began to see a reversal of this over the last few months. Compared to the 3.85% return of the S&P 500 index in the 3rd quarter, we saw a gain of 9.05% out of small stocks as represented by the Russell 2000 index. In addition, the Russell 2000 Value index which represents small value stocks gained 8.87% for the quarter and is now up 15.49% year to date, as compared to only 7.84% for the S&P 500. We have also seen a resurgence in international stocks, which had also lagged U.S. stocks in recent memory. The MSCI Emerging Markets Index rose by 9.15% for the quarter and is now up 16.36% for the year, while the MSCI EAFE and EAFE Small Value – benchmarks for international large stocks and international small value stocks – had gains of 6.50% and 9.78% respectively for the quarter. This recent shift can be a good lesson for investors. While we don’t know if or how long these trends will persist into the future, we do know that historically there have been premiums associated with holding small and value stocks, and there have been time periods in which international stocks have outperformed U.S. stocks. The recent occurrence over the last couple of years of large U.S. growth stocks being a great performing asset class can tempt investors to become myopically focused and assume that these familiar stocks will continue to perform well into perpetuity. This mindset can result in eschewing diversification and ignoring academically known premiums, which can lead them to make sub-optimal decisions within their investment portfolios. This can be a costly mistake. Diversifying beyond US large stocks has historically had a great impact on an investor’s performance. From 1/1979 – 09/2016, the S&P returned 11.68% a year. However, during this same time period, U.S. small value stocks returned 12.99% as shown by the Russell 2000 Value Index. A seasoned investor is aware that perceived trends and market cycles come and go, and it is extremely difficult to know when it is happening. They know that staying invested in broadly diversified portfolios that are designed to take advantage of academically known premiums can result in a positive investing experience over a lifetime. 1. Matson Money. “Account Statement.” Letter to James Hancock. 17 Jul. 2016. MS. N.p. 2. 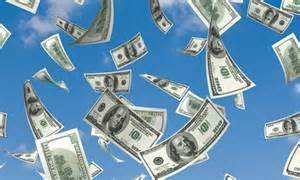 How to Make Easy Money Online. Digital image. Fgfinder.com. N.p., n.d. Web. 11 Oct. 2016. Returns have been pretty bipolar thus far this year. After a very bad start in January, the market was back up and doing well until turmoil hit with Brexit Vote, and now everything is good again. As of the end of June, the Free Market US Equity Fund (diversified US Mix) was up 3.3%. The Free Market International Fund (Diversified International Mix) was down just a tad at -1.93%. Bonds have been solid as the Free Market Fixed Income Fund (Diversified Short Term Bond Mix) was up 2.56%. If anything, we learned once again that you can never predict the market in the short term. The following commentary on the second quarter market returns is from the Matson Money Quarterly Statement. “The 2nd quarter of 2016 was dominated by headlines from across the pond. The impending European Union referendum vote was looming over European markets and across the globe for much of the spring, with the popularly coined “Brexit” seemingly leading every news cycle. Finally on June 23, the citizens of the United Kingdom voted, and in a surprise result, the majority decided for the UK to leave the European Union. This result sent ripples around the world, and fear and panic took hold in the stock market. Stock prices fell sharply immediately after the news came in; both US and UK large stocks fell over 5% in the 2 days following the vote, with the S&P 500 Index down 5.34% and UK Stocks as represented by the FTSE Index down 5.62%. In addition, the Nikkei 225 Index – a benchmark for Japanese stocks – plummeted 7.92% in one day. However, as we often see, these panic induced drops did not persist. In fact, by the end of the quarter just a week later, much of these losses had already been recovered; US and Japanese stocks were up 4.91% and 4.89% respectively, while UK stocks were actually trading higher than before the drop, up 8.73%. This Brexit-mania can be a good lesson for investors. Especially in the modern era of 24 hour news cycles and social media, it is easy to fall prey to the fear mongering of these platforms talking up the geo-political disaster du jour that will bring the global economy to its knees. In the last year alone we’ve seen Brexit, Grexit, and Chinese asset instability all highlighted in the media as the next calamitous event that will sink the economy. Although these types of events can often result in short term volatility, those that have not let it affect their investing strategy have noticed that these events have come and gone without the disastrous results that many predicted. If one had simply turned off the news and tuned out the noise, they would have seen that the S&P 500 Index had a solid quarterly return of 2.46% during the 2nd quarter. Acting on impulse as a result of a scary event in the news is not a new thing, and unfortunately it has been detrimental to investors throughout history if they panicked and sold out of equities as a result. Over the last 90 years, investors have seen The Great Depression, World War II, the Cold War, and 9/11, and through it all had they stayed invested in a simple 50/50 mix of the S&P 500 index and 5-Year Treasury notes, they would have experienced zero 10 year periods in which they suffered a loss, and an average annual return of 8.69%. Although past performance is no guarantee of future results, historically, those that have stayed disciplined have been rewarded. 2. 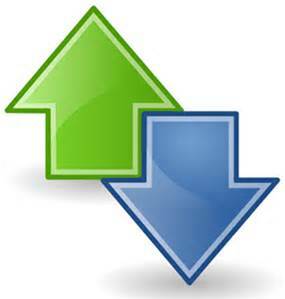 Up Down Icon. Digital image. Commons.wikimedia.org. N.p., n.d. Web. 9 Aug. 2016. 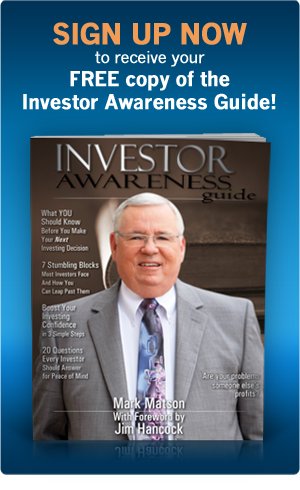 Do You Have the Investor Instinct? Many investors and young potential investors are still scared out of their minds because of what happened to a lot of innocent investors in 2008. I have heard a few horror stories of people who supposedly lost all of their retirement money because of the crash. Many young professionals are scared of the stock market because of the stories they have heard from their parents and grandparents. But is the stock market really the issue, or is bad decision making also involved? This is what happened to the average investor in 2008, instincts kicked in. What I mean by that is that the average investor thinks that when the stock market is headed downward, it is going to keep going downward in a never ending spiral until the world ends. That is just our instinct as human beings. So as an investor, the obvious thing to do if you believe that, is to take your money out of stocks and put it in bonds, a bank account, or even under your mattress. But the term that I use for that is selling low. By the time most investors could get their money out of the stock market in 2008-2009, it was already down 20 maybe even 40%. Let’s take a look at the numbers. On your statement at the end of 2008 you see that your small US stocks were down 38.67%. You lost almost half of your hard earned money! You also notice on the news that long term bonds were up 25.8% during 2008. What does instinct tell you to do? It tells you to leave the pain that stocks are inflicting upon you and go to the pleasure of bonds. But is that really the best decision? Regardless of what we know happened after the crash, it is ALWAYS a bad decision to sell low, and buy high. But in the moment it doesn’t seem like that is what you are doing. So let’s say you sold out of stocks and bought into bonds at the beginning of 2009. Then at the end of 2009 you get this horrifying statement. Long term bonds are down 14.09%. What? How could this happen? You then search online and see that small US stocks were up 47.54%! You managed to lose half of your money while those stock investors who didn’t do anything during this time did twice as good and made their money back. I personally know people who did this, and their families are now forever afraid of the stock market. These people blame the stock market when it was really their own emotions and fear that was the problem. The stock market is way higher than it was before the crash in 2008 and continues to reach new highs as usual. Those investors who saw the largely negative numbers and heard the panic throughout the world, yet stayed disciplined made out like a bandit. The best investors did exactly the opposite of what instincts told them to do, that is they bought more into stocks when the crash was happening and the prices were discounted, and sold some bonds while they were high. Those people especially have been rewarded for their discipline. We all know crashes are a part of the stock market and are a regular thing. The stock market has always come back lightning fast after a crash. So are you going to go with your instinct and panic, or are you going to stay disciplined. 1. Matson Money. Mind Over Money Powerpoint. Mason, OH: Matson Money, 2 Aug. 2016. PPT. 2. Graphic Design Schools. Digital image. Practicalpedal.com. N.p., n.d. Web. 2 Aug. 2016. Today I would like to tackle the question, why should I be invested internationally? This question has been asked by investors more frequently after the horrible year’s international stocks had in 2014 and 2015. So lets look at the data and see if there is any reason to keep international stocks in your portfolio. Every sector of international stocks lost money in 2014. In 2015, International Large sector lost about 3% and international large value sector lost over 6%. The Emerging Markets sector (stocks in countries that are “emerging”) was down almost 16%. *1. Meanwhile the S&P 500 (US Large companies) was positive in both 2014 and 2015. You are probably wondering why everyone doesn’t just invest in Large US companies? 2000 through 2015 was not necessarily a great time period for any sector of the market, but international stocks definitely held their own. US Stocks are in blue, International Stocks are in green. *1. Obviously this chart doesn’t include every sector, but it illustrates a very important point. 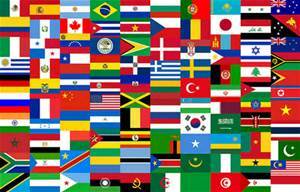 International stocks are extremely valuable in your retirement portfolio, but you also have to be diversified in your international stocks and not just own international large stocks, like most of the population. Most retail investment advisors cannot get you into categories like international small value and emerging markets small. Accurate records for international stock data goes back only to the 1970’s, but lets take a look at the data going back to then. International Large stocks return from 1973 to 2015 was 8.92% per year. International Small Stocks during the same time period had a jaw dropping return of 12.84% per year. *2. This further proves that there is a long term advantage to having a diversified mix of international stocks in your portfolio. A lot of investors get caught up in what is happening in the market over the last minute, day, month, or year. It is important to keep the long term perspective and stay diversified no matter how hard it is to not drop out of sectors that are under performing in the short term. 1. Matson Money. Investor Jeopardy Powerpoint. Mason, OH: Matson Money, 19 Jul. 2016. PPT. 2. Matson Money. Portfolio MRI. Mason, OH: Matson Money, n.d. PDF. Ever wonder if there is anything on the news media that wasn’t focused on negativity, fear, and panic? 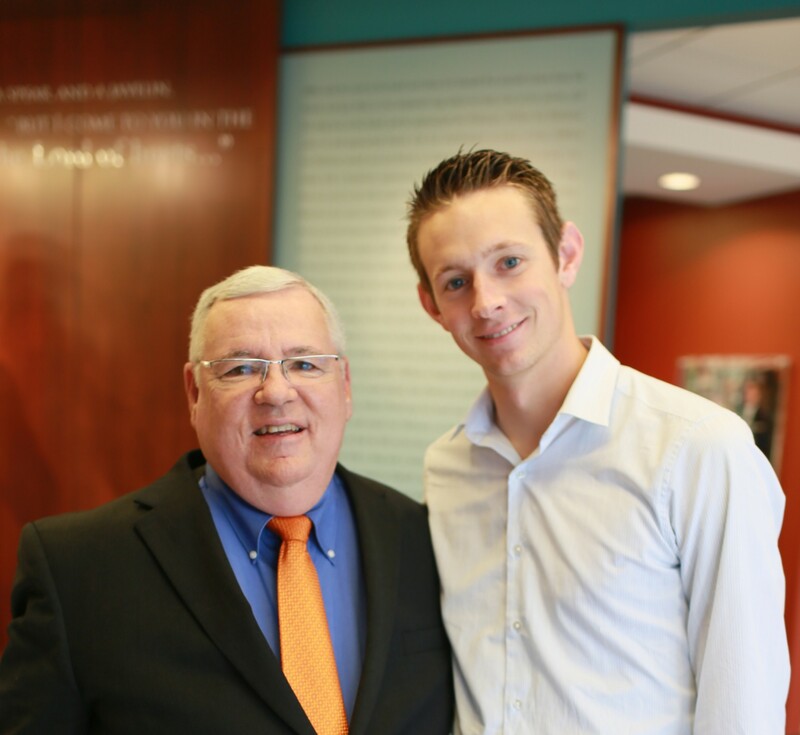 Lucky for us when Mark Matson, CEO of Matson Money, goes on the news media he takes a very different approach. He focuses on real long term investing principles rather than what investors should do based on the big fear of the moment. So the Brexit vote happened, and there has been a lot of discussion about the downward spiral it would send the world into. This video clip is via Fox Business and is Mark Matson’s take on the stock market and world after the Brexit vote. Instead of a regular blog this week, I want you to watch this quick 3 minute video that teaches quite a few good investing principles. Brexit on Fox Business. Perf. Mark Matson. N.p., 1 July 2016. Web. 1 July 2016.